eBay will get back nearly 33 million euros of the 38.5 million it was ordered to pay Moët Hennessy Louis Vuitton in 2008 when a French court ruled that the online marketplace had not done enough to prevent the sale of fake LVMH items on its site. A ruling today by a Paris appeals court reduces eBay's fine to just 5.7 million euros—roughly 15 percent of the original fine—but does not overturn the initial guilty verdict against eBay, the court notes. 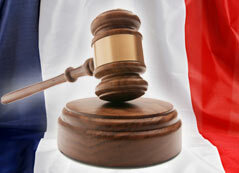 Still, the ruling is "a victory for eBay," Yohan Ruso, managing director of eBay in France, asserts. "The reduction of the fine by 33 million euros shows that the original claim by LVMH was ludicrous," Ruso says. According to eBay, less than 1 percent of its listings are unauthentic products. LVMH officials also claimed victory, saying the ruling reinforces the initial judgement that eBay should have done more to prevent the sale of fake Louis Vuitton, Christian Dior, Kenzo and other LVMH-branded items. "This decision also dismissed eBay's claims for exemption on the grounds that it was acting as a mere provider of hosting services," LVMH notes in a statement. The court ruled that LVMH can seek future damages in courts outside of France for the sale of fake LVMH items on other eBay sites. eBay faced similar suits by other high-end brands in the U.K., Belgium, Germany and the United States, but all of these were dismissed. XPRT Ventures claims theft of 6 payment-system patents. Partnership aims to reduce online fencing.